Pastiche, a literary technique employing a generally light-hearted tongue-in-cheek imitation of another's style; although jocular, it is usually respectful. Examples in the English language include the many stories featuring Sherlock Holmes written by writers other than Arthur Conan Doyle and David Lodge's novel The British Museum Is Falling Down (1965). Much fan fiction relies heavily on pastiche for any effects it might have. Pastiche is also used in non-literary works, including art and music. Cultural theorists see contemporary society marked by radical hybridity in manifold social practices. 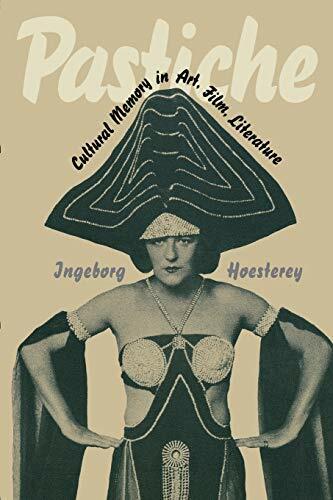 Pastiche is about cultural memory as a history of seeing and writing. One of the markers that sets aesthetic postmodernism apart from modernism---nolens volens categories for the author--- are artistic practices that borrow ostentatiously from the archive of Western culture, which modernism, in its search for the unperformed, tended to dismiss. Ingeborg Hoesterey is Professor of Comparative Literature and Germanic Studies at Indiana University. She is author of Verschlungene Schriftzeichen: Intertextualitat von Literatur und Kunst in der Moderne/Postmoderne, editor of Zeitgeist in Babel: The Postmodernist Controversy, and co-editor of Intertextuality: German Literature and Visual Art from the Renaissance to the Twentieth Century, and Neverending Stories: Toward a Critical Narratology.